So most girls share one thing in common, what? Our LOVE for shoes. Shoes can transform not only an outfit but a person. 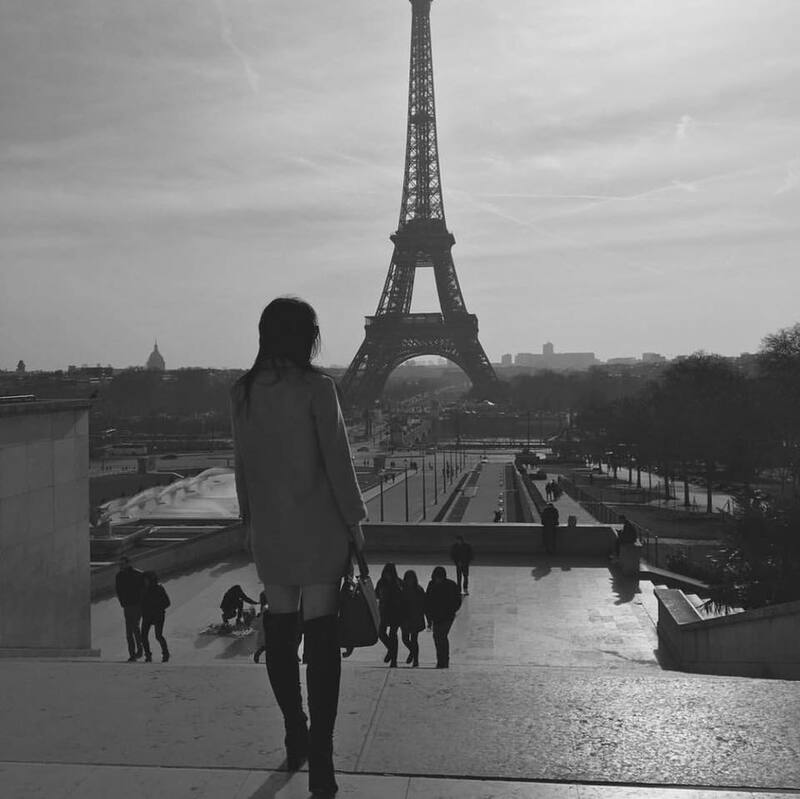 As Marilyn Monroe once said, 'give a girl the right shoes and she can conquer the world'. Check out these amazing Spring/Summer creations. Yes these maybe designer and unaffordable to many, but these trends are hitting the high street to make you look flawless this summer. 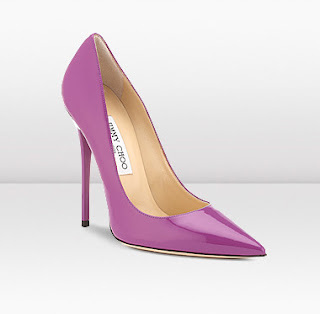 Jimmy Choo: Pointed courts are must have for those formal occasions. Try them in a range of colours to add fun to your outfit! 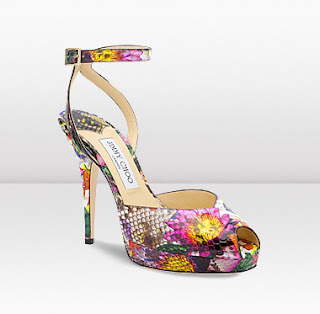 Jimmy Choo: Another gorgeous pair, hello wedges! Now i'm not one for such extravagant prints and animal skins but I am obsessed with these. The mixture of colours and graphics are perfect for a summer night out. Carvela: A little more in our price range, a pair of fabulous sandals is a MUST HAVE for those summer day trips. 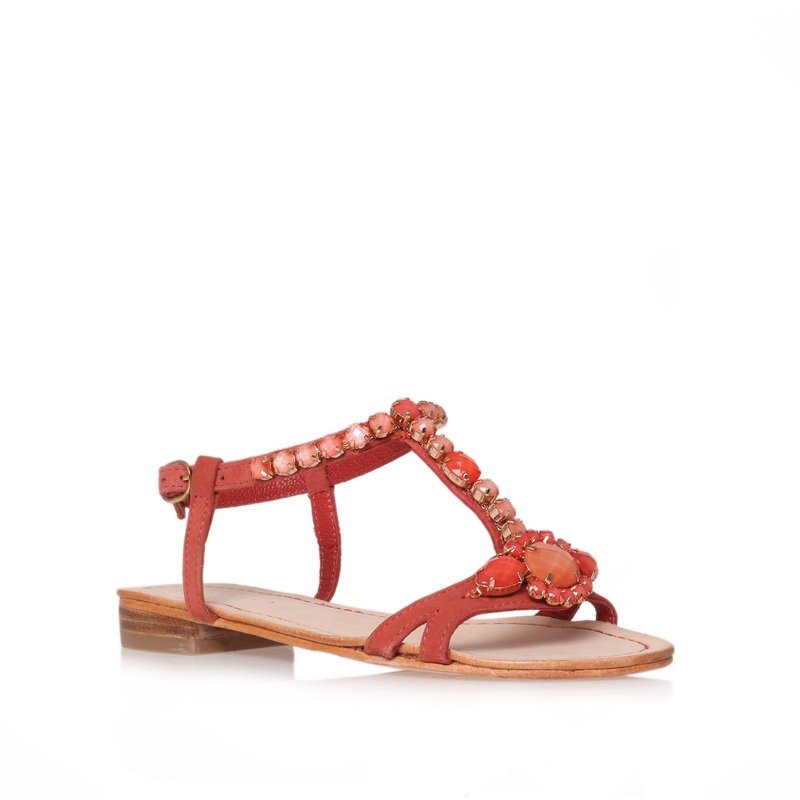 I love the jewels on this pair and coral is one of my favourite summer colours. 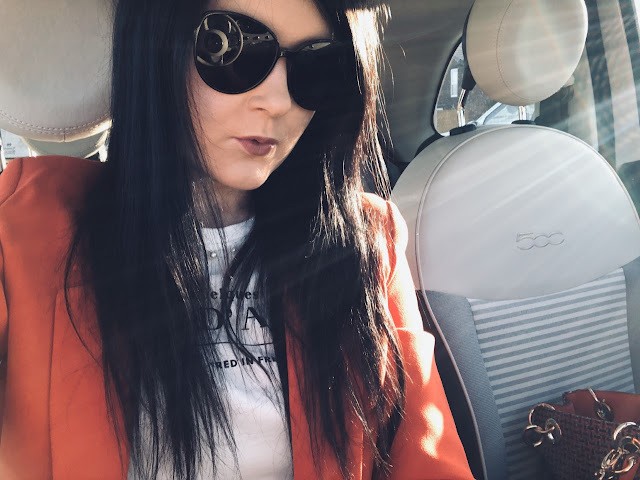 Louboutin: Everyone loves Loubis! Of course our favourite Christian never fails. So they are a bit out there but neon colours are hot from the catwalk for this season, experiment girls! 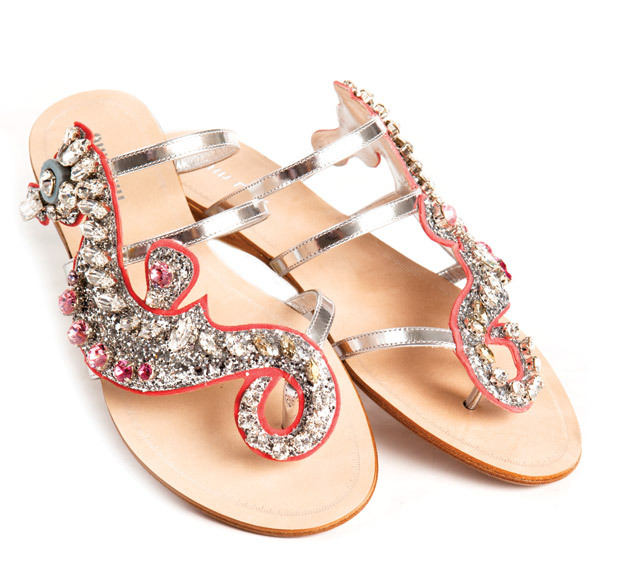 Oscar de la Renta: Completely and madly in love with these babies, stunning espadrilles! Also available in blue but wow just wow. Love the ribbons, perfect for walking along the beach. I also have a weakness for green. 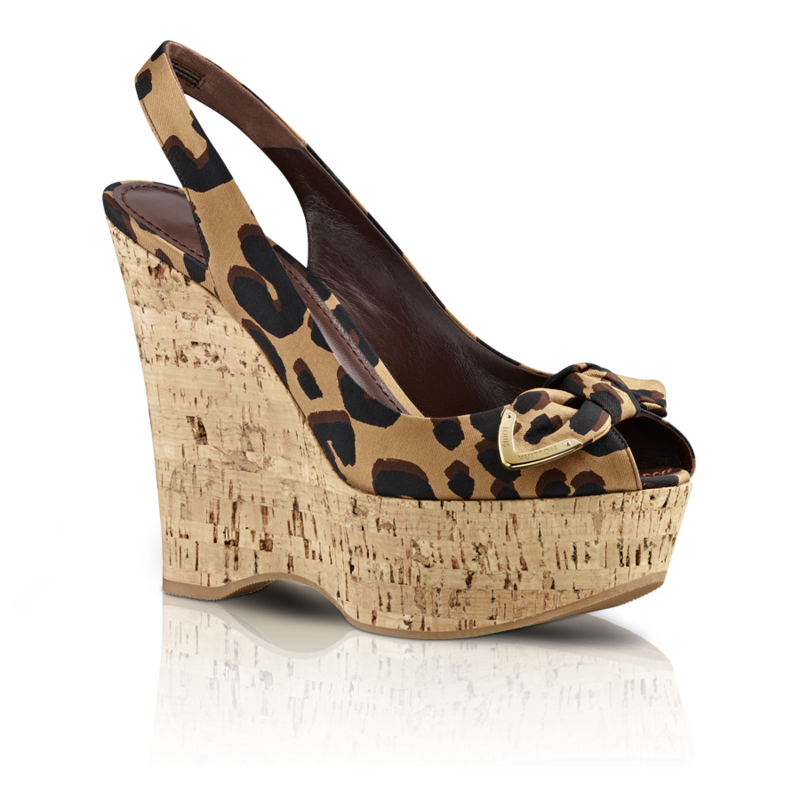 Gucci: These wedges are perfection. Not only can you wear these with casual and tailored shorts or cute skirts if your looking for an alternative footwear to killer heels at the many summer weddings that are happening why not try these? Cute and sassy. Miu Miu: So these maybe last years but who cares?! I was obsessed with these sandals then and I am obsessed with them now. Who needs to wear heels all the time? Darling, its summer (or nearly)! Louis Vuitton: Leopard print was once considered horrendous, a no go, out of this world but not today! These wedges should flirty and fun and perfect for a 'wild' night out!